As a kid, Gangstagrass frontman Rench alternated between the break-dancing hip-hop world of his friends and classmates and the honky-tonk country tunes his dad preferred to listen to around the house. He liked them both, so when he started making music, he could hear in his head how parts of one could easily mix with the other. Not everyone else agreed. At first. › Where: Songbirds South, 35 Station St.
"There wasn't really a particular conception point," he says of the hip-hop/bluegrass band that is now Gangstagrass. "I've been messing around with hip-hop and country since the beginning. When I started producing music I was doing things like creating beats for emcees. I was always going, 'Hey, this would sound good with a pedal stomp right here,' which they would never go for, so I started doing stuff myself." He noticed that a lot of bluegrass music didn't typically have drums, for example, so adding in some beats just seemed to work. He also found that song topics, while different in language perhaps, were not that different when it came to subject matter. "We definitely have found so much common ground and discovered so many things they have in common. The origins, for example, as both are the community's music for people who often didn't have resources. It's a different vocabulary for the same thing. "The narrative, the storytelling, the outlaw stories and all that are things they have in common, so we found that we can do songs about prison or being on the run or hard times." Once the band was formed in 2006, he also quickly found that he wasn't the only person who included country music and hip-hop on their playlists. "We are resonating with people across the country who have Johnny Cash and Jay-Z on their playlists. It's the industry that is giving us separate charts and separate radio stations and separate TV shows as if fans only listen to this or that." 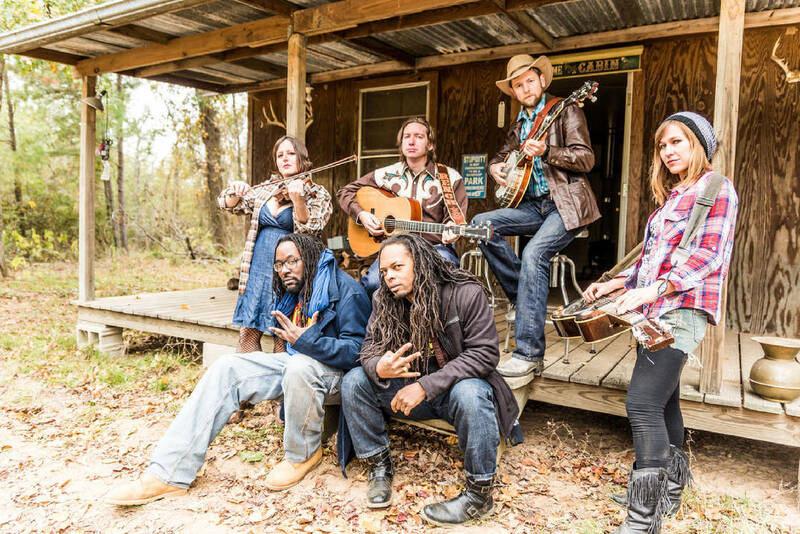 Among fans of the Gangstagrass sound were the producers of the FX show "Justified." The band created the show's theme song, "Long Hard Times to Come," which opened the show for all six seasons and was nominated for an Emmy Award. None other than author Elmore Leonard, on whose books "Justified" was based, said of the song, "Rench and his friends have done nothing short of creating a new form of music. Gangstagrass takes two types of music that are opposites and mixes them together brilliantly in a way that is natural and enjoyable." The current Spike Lee movie "BlacKkKlansman" contains "We Are Gonna Be Okay," written and performed by Gangstagrass' Dan Whitener and produced by Rench. › Where: Songbirds Guitar Museum; South Stage, 35 Station St., North Stage, 41 Station St.